Life is beautiful, especially if you live it everyday with a sense of purpose and challenge. To have that kind of life you must live a balanced life. But how do you do it? 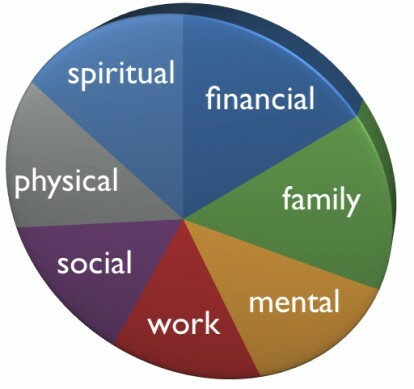 How do you ensure you’re living a balanced life amidst the hustle and bustle of everyday tasks and responsibilities? Having a busy life is not an excuse not to live your live to the extreme. You can live your life well if you manage your time and activities. Relationships. Being busy at work can kill relationships, especially if you don’t know how to make time for them. Relationships are essential for every person because these are the bonds that are lasting and fulfilling. Having healthy relationships can lead to a more balanced life because they can be good mood boosters. Schedule a five-minute phone call every day with a friend. Eat lunch together with a family. These little gestures will come back to you in multiple ways. Work. Whatever your work is, it will be more rewarding when you do it with purpose. Whether you get paid or not, working with intention brings about a greater sense of pride and accomplishment. You might be a preschool teacher who absolutely adores kids. You might be a travel agent who loves to travel. You might be a homemaker who enjoys domestic work. Find the meaning and joy in your work. Learn something new every day. It could be a task or a foreign language. Learning something new every day gives you an active mind. You will never run out of things to discover. The world is interesting, so remain interested. Spirituality. Take time every day to reflect. Connecting with a higher power is very important. It gives you strong roots of faith to remain hopeful in depressing situations. Take time for worship, meditation and prayer to renew your mind and spirit. Health. No matter how you try to complete all these things to have a balanced life, it will not be complete if you have poor health. Having good health and being in great shape allows you to do what you enjoy. Exercise every day and eat healthy foods. Have a healthy meal or engage in simple exercise every day. You don’t have to devote yourself to two hours of cardio exercise every day to be healthy. A 15-minute jog around the park, a healthy vegetable salad and drinking eight glasses of water everyday will do the trick. Balance. The key to all of it is balance. You can’t do everything in a day. Even if you could, allow yourself some rest. Allot a specific time for tasks to be done. If you do this you’ll reap the rewards in full and can have time for yourself. A balanced life is a key to live a healthy, peaceful and engaged life.